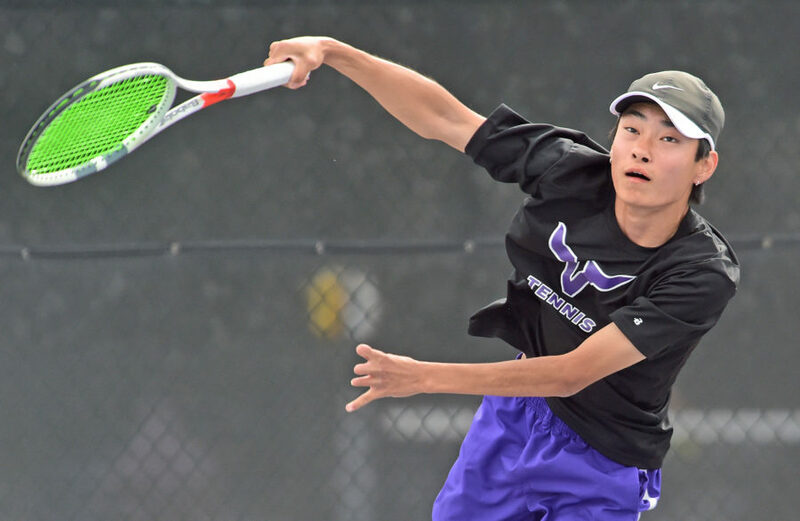 Fighting to beat the sunset, West Ranch and Valencia boys tennis meet went down to the wire Tuesday. Tied 3-3 at the end of the first round, tied 6-6 at the end of the second round and tied 9-9 at the end of the third round, it came down to games as West Ranch pulled out the narrow 73-72 win, winning in games over Valencia. 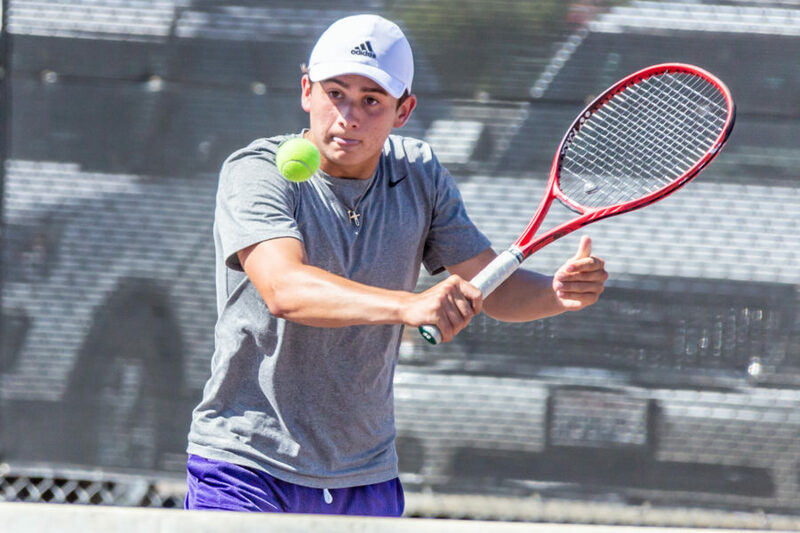 “Tennis appears to be an individual sport,” said West Ranch head coach Eric Spiecker. “It’s matches like these that make individuals come together and really win as a team. “That’s invaluable.” With No. 2 singles player Parker McBride out of town, Davey Woodland stepped up and had a great day sweeping all three of his sets, starting the day off beating Valencia’s Eduardo Cedeno. “It obviously takes a lot to be able to go out there and play a good set against (Cedeno),” Woodland said. “He is really solid and he really does a good job of returning big serves, so I really had to play smart service games and take advantage of my opportunities when I got them.” Valencia had great play from their No. 1 doubles players Jackson Boxall and Stephen Thay as they won all three of their sets 6-2, 6-4, 6-0. In the three and a half hour meet, both teams left it all out on the courts according to Valencia head coach Jen Azevedo. “It was a true battle. That’s always the case with this rivalry,” Azevedo said. “Every single time we are fighting daylight and it’s a testament to both schools and their kids. These are the games that we practice for, facing off against tough teams and battling until the end.” Both teams have quick turnarounds as West Ranch will host Buckley Wednesday, while Valencia hosts Saugus on Thursday.